We are staying true to the goal of using psychology principles instead of profit as our north star in Recognize’s product roadmap. 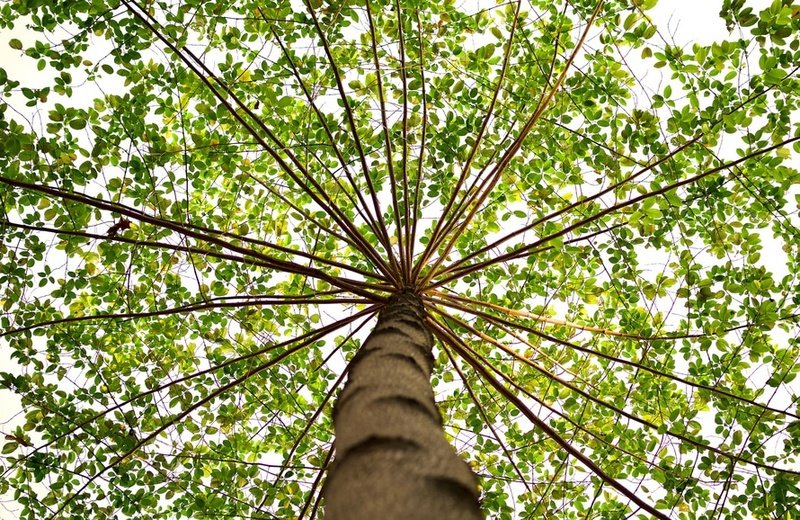 We want your staff to be motivated intrinsically, and not just by monetary rewards. That’s why our nomination system doesn’t incorporate any cash value. Companies can choose to add monetary rewards for employees who are nominated or awarded, but that is for them to decide, not us. 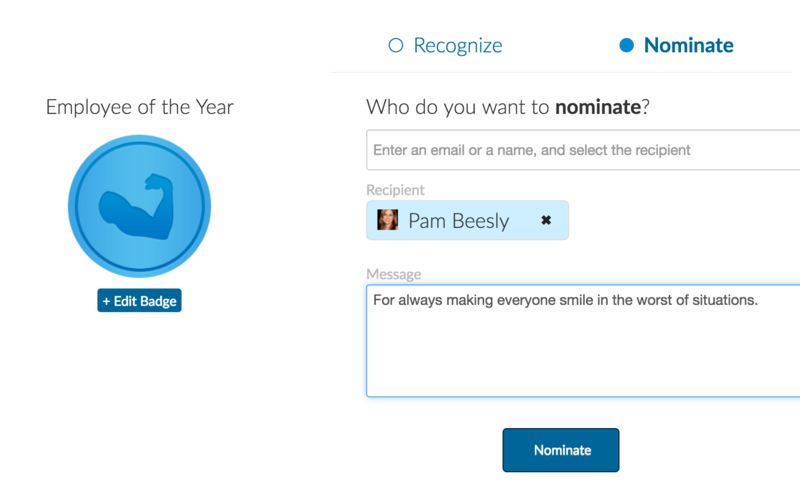 How does Recognize employee nominations work? The nomination system makes it really easy to democratically decide who is to be awarded for special mention. Staff can secretly vote on who deserves any award. 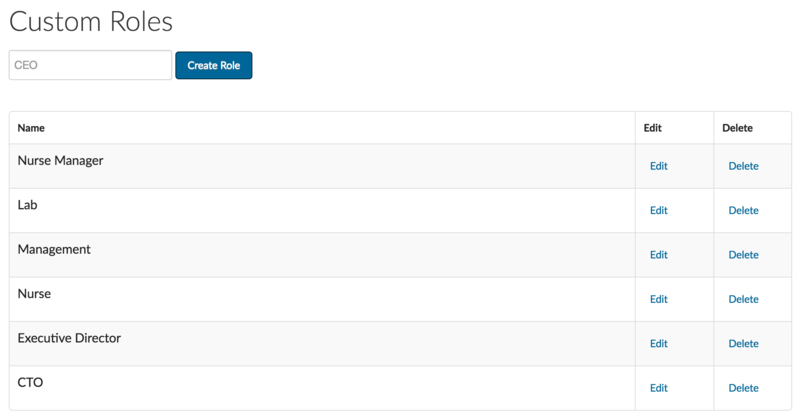 The admins go into the Company Dashboard to see who has been voted the most times for a nomination and the reasons employees gave for that nomination. Since staff are voting, it is easy to see runner-ups to whomever you choose as the winner. 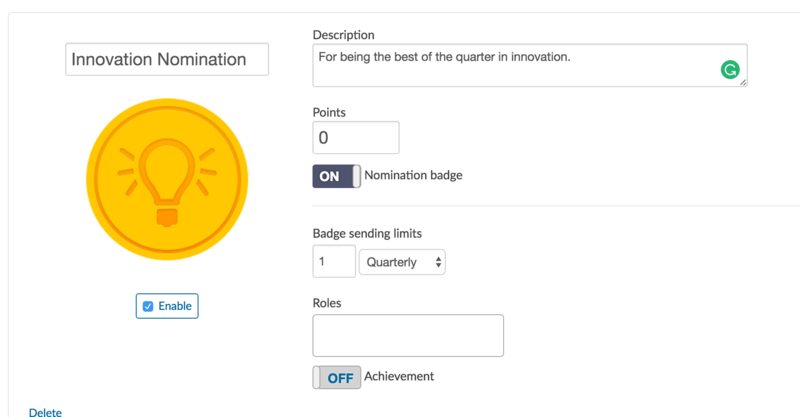 To set up a nomination, it is as easy as creating a badge. Go into the Custom Badges and enable “nominations” on a badge. That’s it! 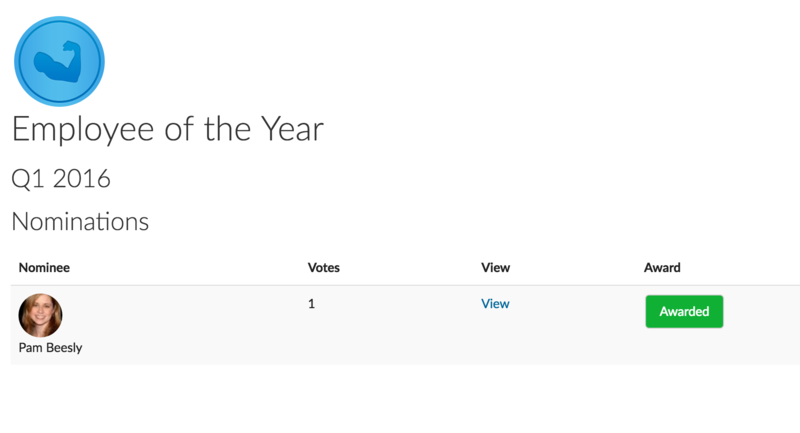 You may want to also create a badge that is the award version of the nomination. When you decide on a winner and award them in the dashboard, you can send a recognition for that accomplishment only the CEO or an admin can send. Now it will be easy to see who deserves recognition at your quarterly and yearly ceremonies. 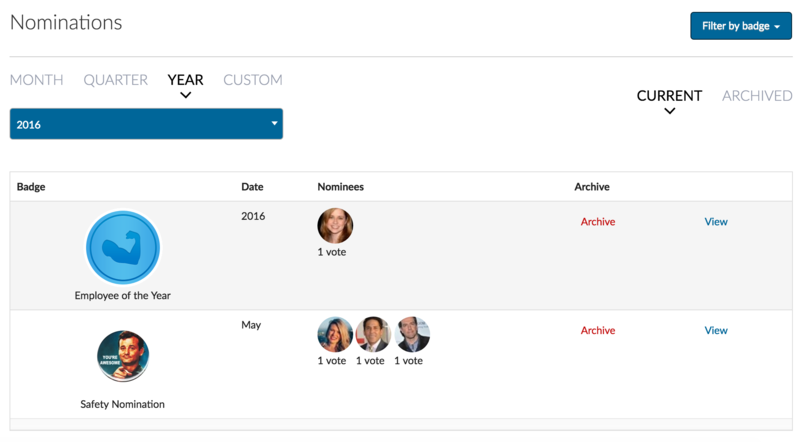 Admins and leaders will simply login to Recognize, see the nominations that occurred all year, and make decisions on who to mention and why. No more favoritism, no more last minute illogical decisions. Recognize is helping companies recognize and award their employees in ways grounded in science and not solely gift card profits. This entry was posted in Uncategorized on May 7, 2016 by Alex Grande.